This Valentine’s day, why not shell out for that eye-wateringly expensive watch you know they’ll love? After all, nothing says “I love you” like self-imposed financial hardship until the next payday! Alternatively, you could plan out a day where you’ll spend a lot less money and a lot more quality time together. Wake up bright and early, because you’re starting the day with the ultimate romantic gesture - breakfast in bed! Use the VonShef Egg Poacher to save time while you whip up some hollandaise sauce. Pop your perfectly poached eggs on some sourdough toast with a slice of smoked salmon, and hey presto - you’ve made a stunning eggs benedict breakfast fit for a king or queen. For an extra touch of grandeur, serve with coffee in a pair of beautiful VonShef Gold Mugs. Once you’ve had your fill of breakfast (and delightfully trashy morning TV), it’s time to get active. If the weather’s looking good, we’d recommend keeping things simple with an outdoor walk and a picnic. Spending quality time being active together offers a host of proven benefits for couples and it won’t cost you more than your favourite sandwich ingredients - and maybe a bottle of prosecco to help you wind down properly after all that walking. If you think you’re lacking the gear for a truly idyllic picnic, our VonShef 2 Person Geo Picnic Bag contains everything you need to make any spot the perfect spot for sumptuous al fresco dining. After you’ve made your way home, it’s time for your loved one to relax while you prepare for an evening dining experience like no other. Chop up a selection of your favourite vegetables, pull out the beef or chicken pieces you marinated the night before (very smooth move BTW) and portion out some cheese for added indulgence. Once you’ve both worked up an appetite again, it’s time for a charming interactive feast with the VonShef Raclette Grill - as the old saying goes, couples who sear together, stay together. Handy tip: don’t raclette without wine, served gilded in these lavish VonShef Gold Wine Glasses. By now, you’ve grilled, melted, dipped and mmmmmm’d your way to chargrilled satisfaction. Just when you think you’re done with deliciousness for the day, out comes the VonShef Chocolate Fondue set to remind you there’s always room for more. For savory indulging duos, a cheese selection presented elegantly on the VonShef Herringbone Cheeseboard is a suitably charming alternative. It’s been a long day of indulgence, outdoor exercise and...more indulgence. Now it’s time to retreat to the living room and relax with a movie night. Whether you watch the 12th Fast & Furious for the 1st time or The Notebook for the 12th time, make sure you stick on your VonShef Popcorn Maker for a real date night at the movies experience. You’ve spent an entire day’s worth of quality time together, with a little help from a few VonShef products you can use again and again! If the weather’s looking good, we’d recommend keeping things simple with an outdoor walk and a picnic. Spending quality time being active together offers a host of proven benefits for couples, and it won’t cost you more than your favourite sandwich ingredients - and maybe a bottle of prosecco to help you wind down properly after all that walking. 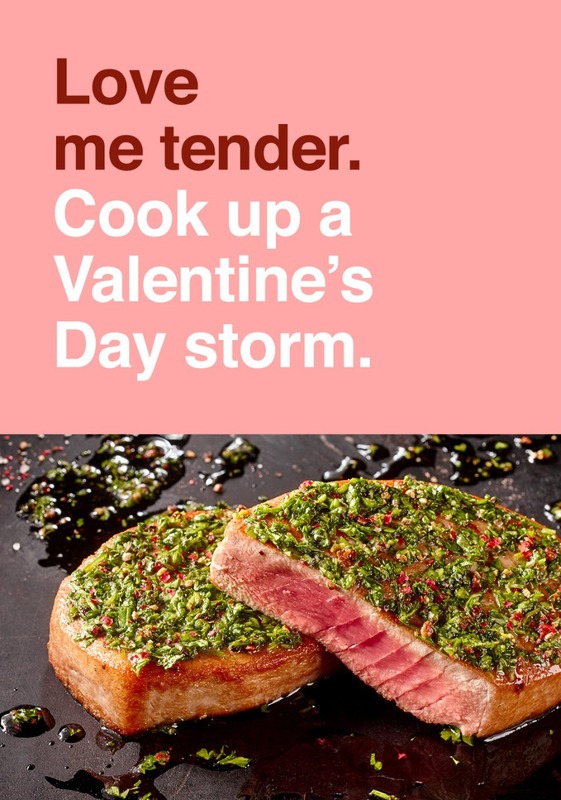 Cook up a Valentine’s Day storm.